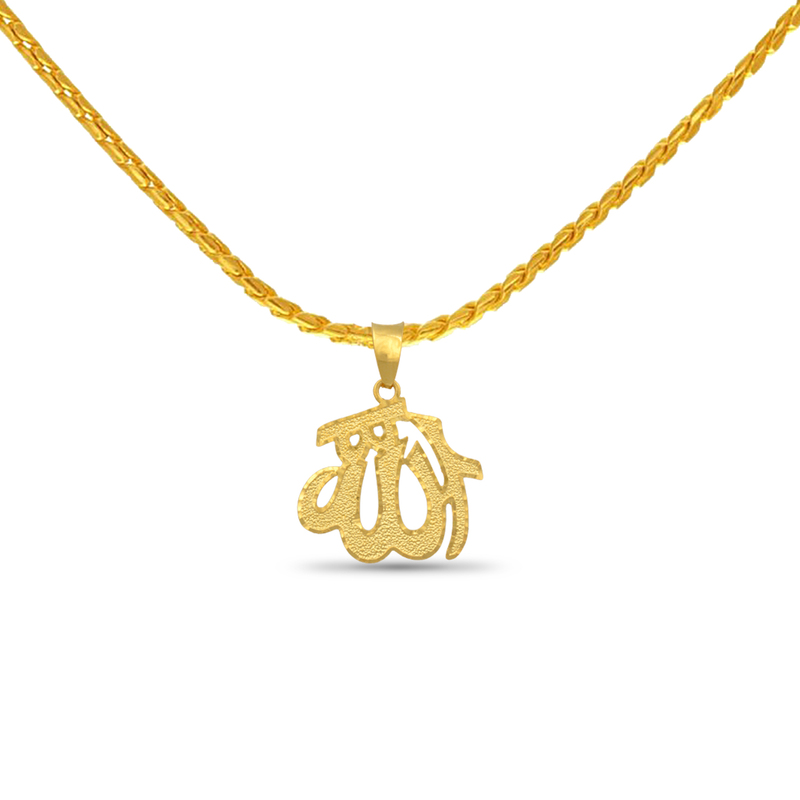 This 22KT pendant is in the shape of the word 'Allah' in the Urdu script. This yellow gold pendant has indented borders and has been carved to perfection. This pendant is a symbol of Islam. It weighs 3.7 gm and it can be worn everyday as a religious statement or for sacred celebrations.